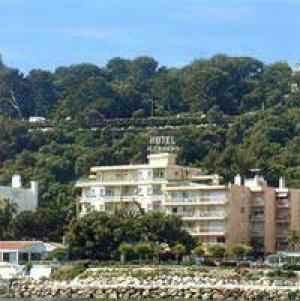 This hotel is located in the centre of Nice, just 700 metres from the Promenade des Anglais and the beach. It offers air-conditioned guest rooms and free Wi-Fi internet access. A flat-screen TV with satellite channels is featured in each of the guest rooms. All rooms at Hotel Helvétique include work desks and en suite bathrooms with hairdryers and toiletries. Breakfast can be enjoyed every morning in the hotel's breakfast area or in the comfort of guest rooms. The hotel provides ironing facilities and beach towels free of charge. The Place Masséna is situated just 350 metres from the hotel and the Nice-Ville Train Station is 1.2 km away. The Nice Côte d'Azur Airport is reached by car in 15 minutes.